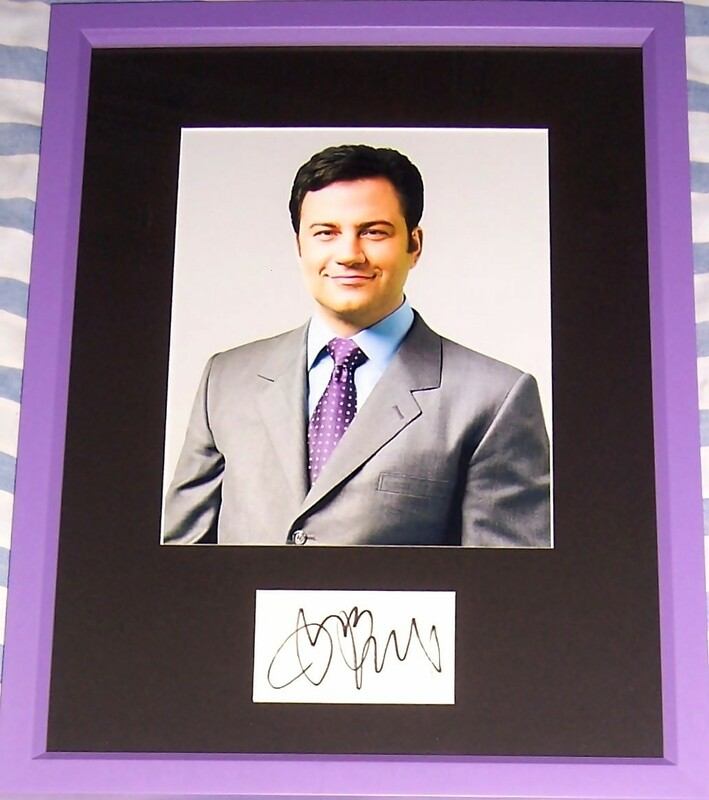 Black marker autograph signed by comedian and talk show host Jimmy Kimmel on off-white paper, professionally matted and framed with an 8x10 portrait photo, ready to hang. Obtained in person at celebrity golf tournament several years ago. With certificate of authenticity from AutographsForSale.com. ONLY ONE AVAILABLE FOR SALE.